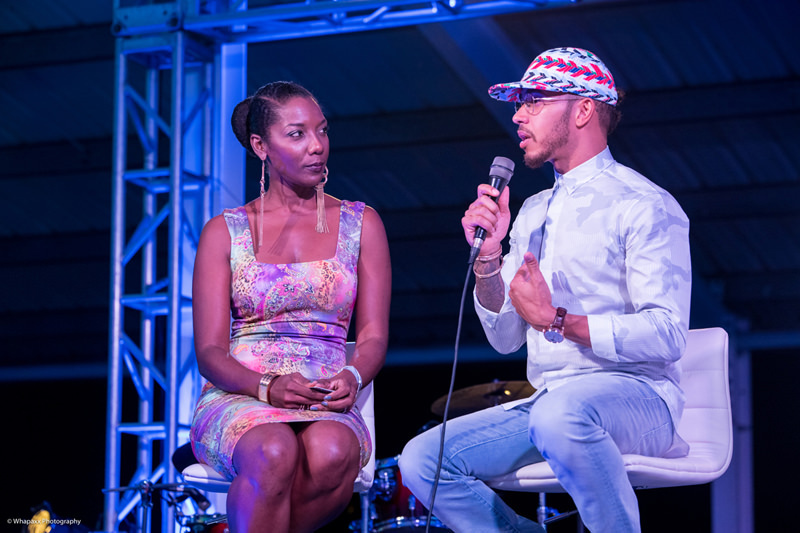 The inaugural Festival of Speed held last weekend at the Bushy Park Racing Circuit saw the highly anticipated return of Lewis Hamilton to Barbados and has once again raised the bar for the island and inspired a new generation of racing fans. As a long time supporter of Bushy Park (Terra Luxury highly recommends the Radical experience! ), the Terra team were on site Saturday night for Dinner with Lewis, an exclusive gala night in honor of Lewis’ return. Our charismatic CEO, Head of the Barbados Motoring Federation and avid rally driver Andrew Mallalieu, MC’d the intimate event that put Lewis front and centre giving guests the opportunity to meet and learn more about the racing legend and his drive to the top of the world of Formula One (pun intended). Lewis was cool and casual, openly chatting with other diners who enjoyed a decadent dinner and entertainment on the top floor VIP area of the recently renovated clubhouse. Andrew welcomed him and the other VIP guests, including Minister of Culture, Sports and Youth the Honorable Stephen Lashley, Acting Minister of Tourism Senator Irene Sandiford-Garner and William Griffith and Petra Roach of the Barbados Tourism Marketing Inc. He spoke about the resurgence of the track, the energy top racing celebs such as Hamilton bring to the island and the importance of encouraging the upcoming generation of motorsports talent who strive to compete at an international level. Senator Irene Sandiford-Garner had high praise for the motor-sporting community, noting that the various events throughout the year brought in over 4 million dollars in revenue annually; with racing fans, their families, and international competitors flocking to the island to enjoy these exciting weekends. For a small island Barbados certainly does things BIG and sports tourism is a strong part of our appeal. Where else in the world can you enjoy pristine white sand beaches, fine dining, luxury accommodations AND the electrifying experience of watching the world’s top Formula One driver in action? 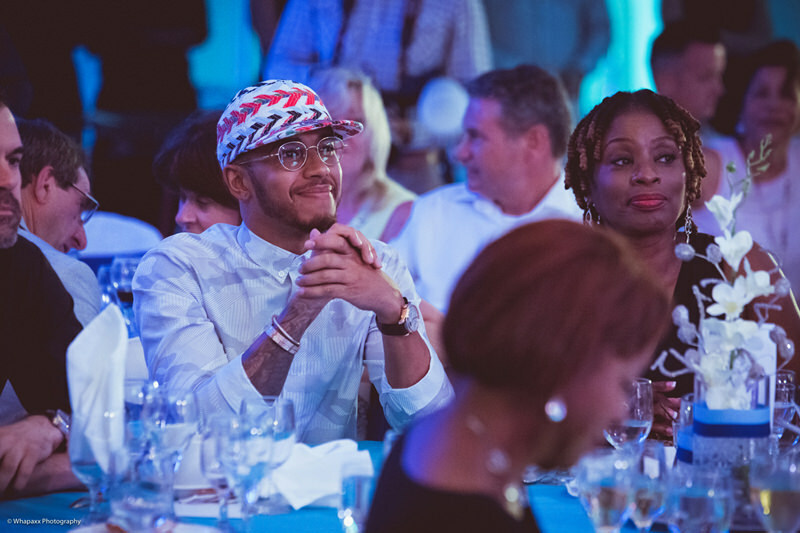 Lewis hasn’t been shy about his instant love affair with Barbados, admitting that even though his ties in the Caribbean lie in Grenada, since his first trip here for the Top Gear Festival in 2014 he felt instantly at home, a sentiment expressed by many of Barbados’ regular visitors. He took to the stage to speak with CBC personality Belle Holder about his journey. It was an insightful interview in which he spoke about the great influence his father had on his outlook to life (including insisting school came before karting - always), his journey from junior karting enthusiast to racing legend, his unexpected emotional reaction to the recent death of pop star Prince and his unbridled love for Barbados. Lewis has been back to the island three times in just two years and couldn’t wait to tell everyone how excited he was to be coming back again in August to take part in our annual Crop Over festival. He drew big laughs when Belle asked him if he could ‘wuk up’ as the Bajans say….his reply “Well not right here!”. Lewis himself started his motor sports training while a young karting competitor in the UK where he became the youngest champion in the world of karting at only 15 years of age, this afforded him entry into the elite world of Formula One when he was signed in 1998 by McLaren and Mercedes. Indeed karting is often the starting ground for many of today’s popular drivers right here in Bim! Realizing the importance of karting as a developmental stepping stone for future motor sporting youth, organizers aim to establish a karting scholarship programme for upcoming talent on the island. Saturday’s dinner featured a special auction for the programme with diners bidding on designer sunglasses, luxury jewelry and the prized item of a ride with Hamilton in the Radical race car on Sunday. Radical CEO Phil Abbott and his team were also in attendance and looked on as the bidding reached a dramatic conclusion with the sale of a Radical SR3 RS racing car, originally built for 2015’ Race of Champions in London and driven and autographed by Lewis Hamilton on Sunday at the Festival of Speed. The Bushy Park Racing Circuit has been host to some impressive internationally renown talent since its redevelopment, including Rally Cross champion Ken Block, the team of Top Gear out of the UK and of course Lewis Hamilton, who keeps coming back for more sun, more fun and more speed! Congratulations Bushy Park, all the sponsors, the Monster team out of the UK and the loyal fans on another successful event! Lewis, we’ll see you on the beach in August!